Contouring has absolutely exploded on the beauty scene in the last couple of years, largely due to those pictures of Kimmy K with stripes all over her face which are then blended to perfection. There has been product after product released by high end brands and they have finally filtered down to the high street. This trend is always something I was a little scared of, especially as I have skin that resembles Casper The Ghost, however once I got over this initial fear I have really got into it. Admittedly I don't go full on Kardashian-esque but I do it just enough that it does make my face look different. I've had people ask a few times if I've lost weight as my face looks slimmer, I always chuckle and explain that I've just mastered contouring on my super pale skin. Like I would give up Reeses Peanut Butter Cups! 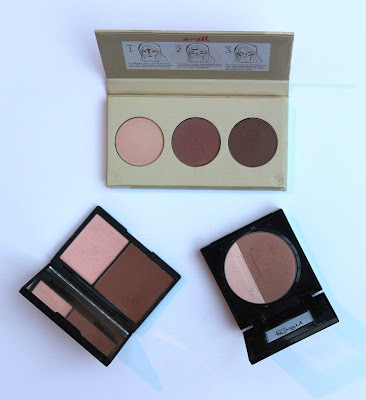 The little kit comes in three shades Light, Medium and Dark, you guessed it, mine is in Light. 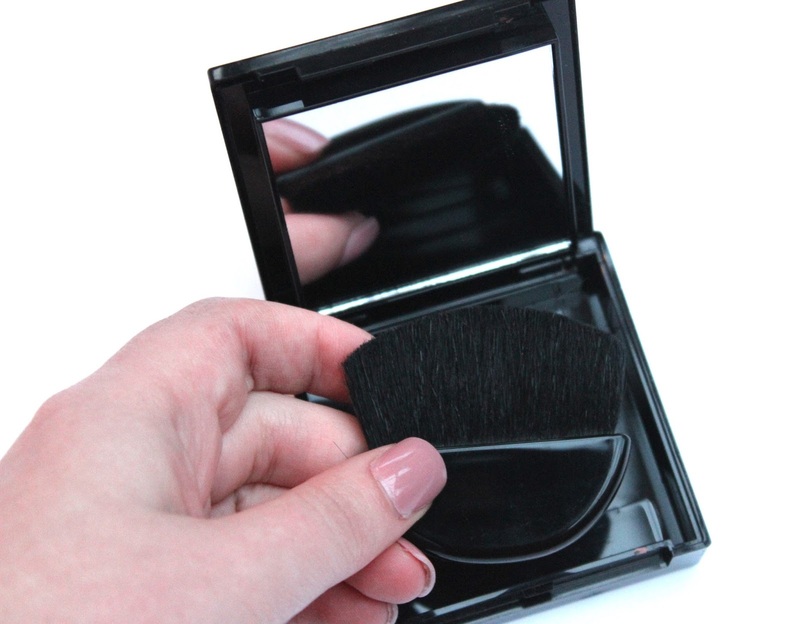 It includes a contour and a highlight shade and also has a decent size mirror. This is the one I got first and I really like it. 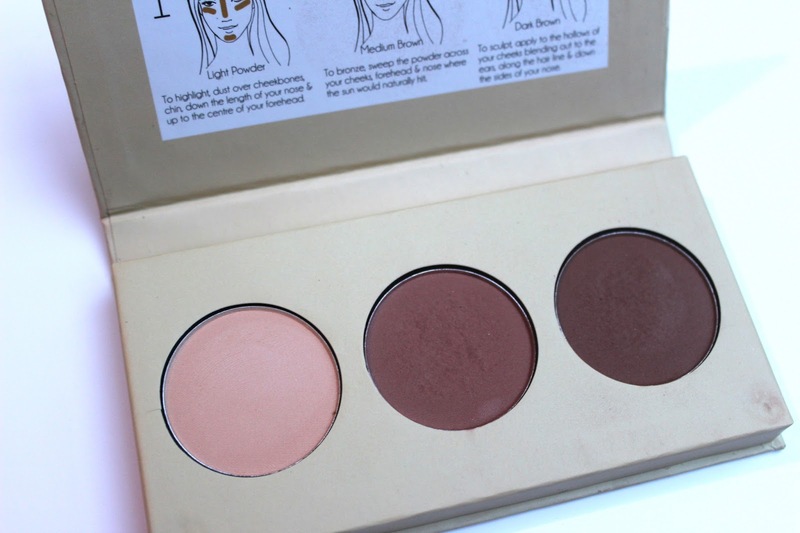 The contour is a warm shade which works on my skin and the highlight is a gorgeous pale peachy pink shade. I only need to use a tiny bit of this on my brush because the pigment is so strong so if you're fair I would use a duo fibre brush just so that you don't over do it. Again this includes a contour and highlight shade along with a mirror and a brush underneath the product. Do I use this brush? Nah but I guess if you have the kit in your handbag then it would come in handy but if you're at home I'd just use whatever you normally do. For me I really like this contour shade because its not too dark and not too orange! Never a good look. The hightlight shade I really wasn't keen on, its a little too glittery for my taste but I would still buy this kit just for the contour shade. Barry M Chisel Cheeks Contour Kit is the final one I've been testing out, this little bugger took a while to track down but I didn't mind as thats usually a sign that a product is going to be a keeper! This one is different from the other two in that it has three powders, one for contour, one for bronzing and one for highlighting. They're all matte colours, again I'm not a massive fan of the hightlight shade because it doesn't show up on my skin. 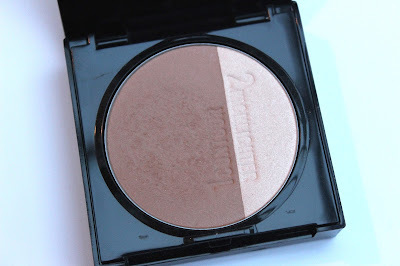 However the quality of the powders are great, they blend out nicely and this would work for so many skin tones. Overall, I like all three of these kits and I think for the price you can't really go wrong. The winner? 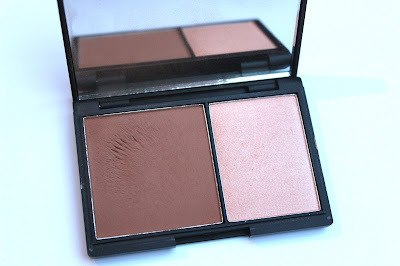 I think the Sleek kit gets it because its a good all rounder and I use both the highlight and the contour shade. What contour products are you loving right now? Especially you pale skinned ladies lemme know!